Tivoli is situated to the East of Rome along the Aniene river on the slopes of the Monti Tiburtini, 28 kilometers from Rome. Since the ancient times the town was famous for its climate, beauty and richness of waters, and become a vacation place for the ancient Romans. Emperor Hadrian created here his residence Villa Adriana, that is considered, for the magnificence of its architecture, one of the most important sites of the ancient Rome. This unique archeological attraction represents the visionary architectural dream of Adriano, who was an amateur architect and decided to reproduce here the most beautiful places he had been visiting travelling throughout the Roman empire. The villa extends over 300 acres and is the largest and most luxurious one ever built. 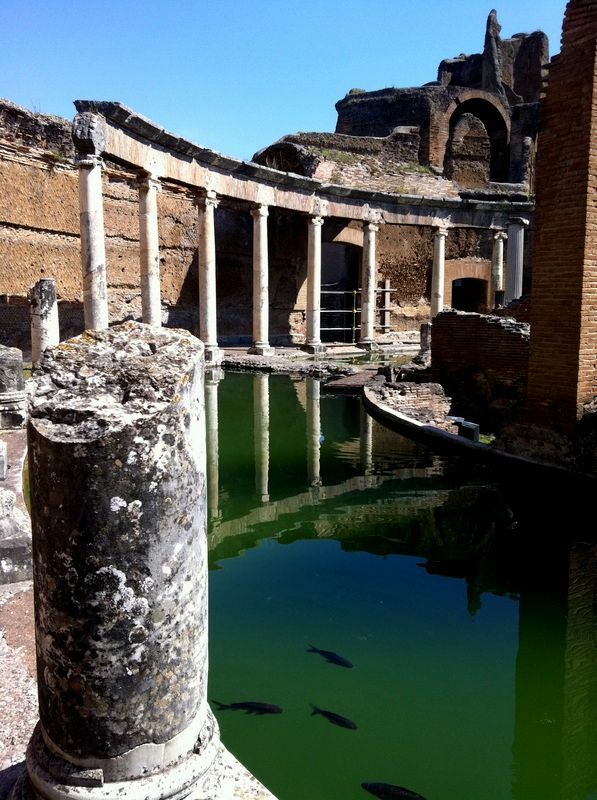 The tour explores the monumental buildings, baths and pools, tricliniums, water ponds , guesthouse and imperial palace. Walking by we will be framed by wild bushes as well as olive and pine groves. In 1550 one of the leading roles of the Renaissance period was appointed governor of Tivoli. He created a splendid residence for himself to reside in town. The Cardinal Ippolito D’Este , son of Lucrezia Borgia and Alfonso D’Este, hired the greatest Renaissance architects, painters and engineers to realize his splendid villa on the site of an ancient simple monastery that had been assigned to him. Since the palace was too small he acquired all the land he could purchase to realize gardens that would have impressed his Roman visitors and guests. 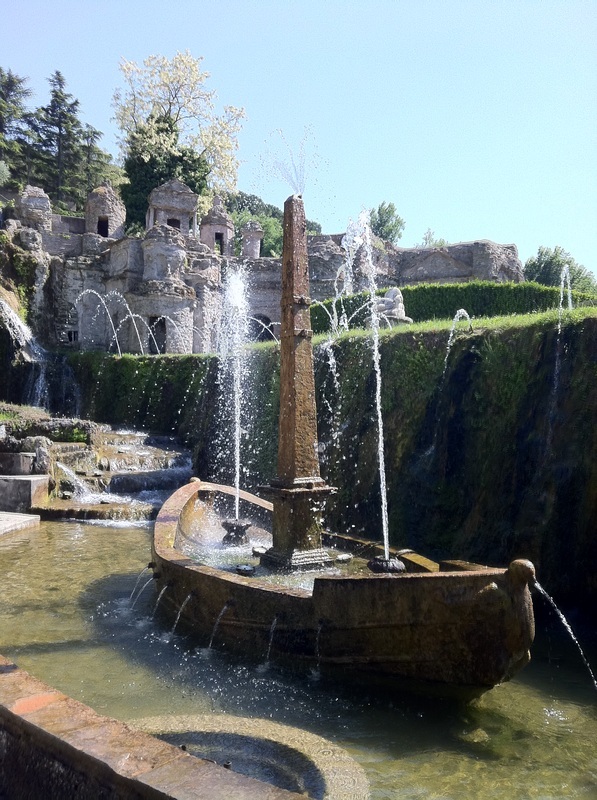 The Italian style gardens of villa D’este are famous worldwide for the variety of water fountains, spurs, waterfalls, grottoes and centenary trees.